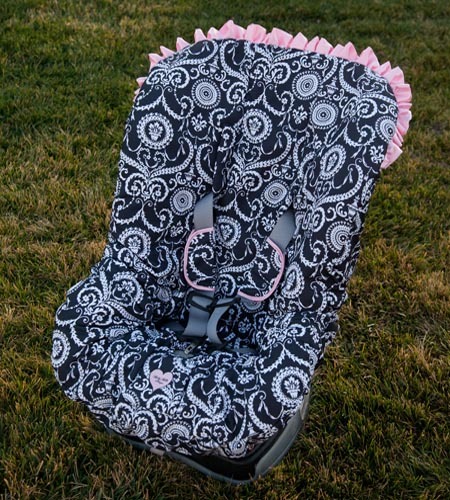 Baby Bella Maya toddler car seat covers are an attractive way to update the look of your infant car seat while allowing the seat to remain clean. 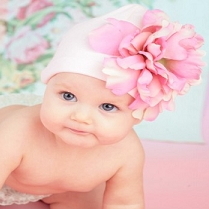 The infant seat cover can be removed, washed and securely placed back on in a matter of minutes. 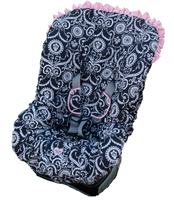 The infant car seat cover offers a practical alternative that is both stylish and comfortable! Mid Summer Dream toddler car seat cover is compatible with Britax Marathon and similar toddler car seats.